Uglyworld #59 - Jeero at Leuven Town Hall, originally uploaded by www.bazpics.com. 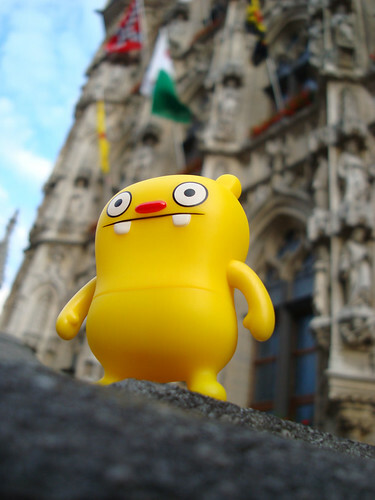 I love this picture of Jeero taken while I was lying on the ground in front of Leuven Town Hall in Belgium. It's always funny taking shots of the little guys out in highly populated public areas (like this one), everyone seems to stop and stare wondering what the hell you're up to, before laughing at the reason when they finally see it.